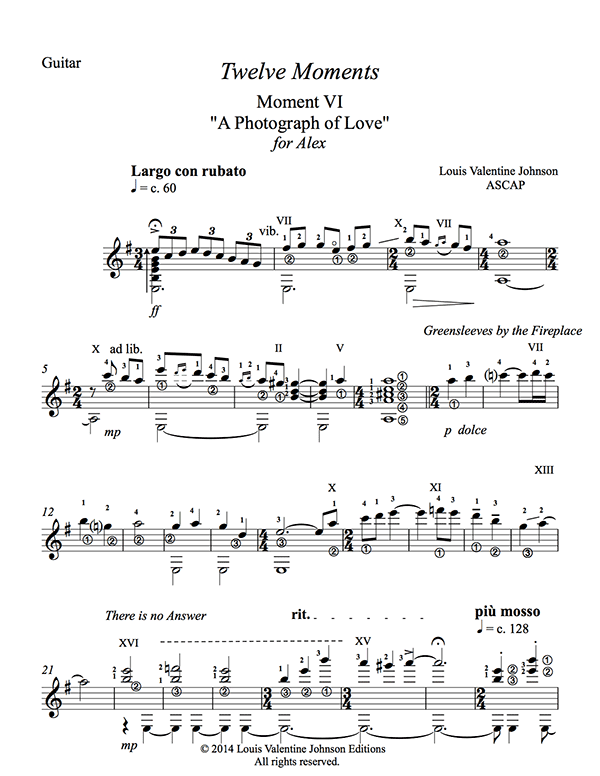 Notation | Richard Altenbach, composer, violinist. Just as alphabet is used to capture one’s thoughts permanently in written form, the setting of intangible musical phrases through written notation is magical. 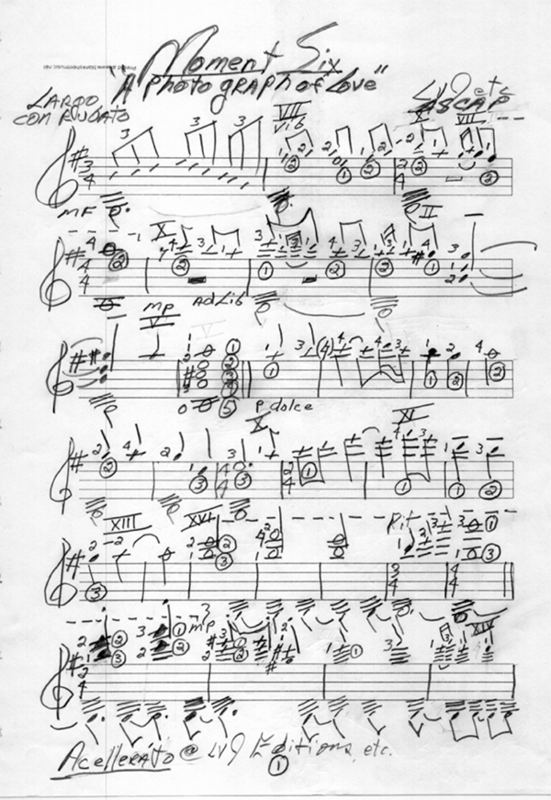 Lou Valentine Johnson, a talented classical guitarist, composes his music with pencil to paper. He meticulously jots down all dynamics, expressive marks and fingerings in order to convey to the reader all the nuances he hears in his mind… The resulting manuscript is art – organic, flowing and personal. But no matter how legible, today’s playing musician demands a standardized, printed, and immediately sight-readable finished product to work from. That’s where Richard Altenbach’s Notation Services come in!